Luck has ran out on some deadly armed robbers who snatched a car and were escaping with it only to be involved in a ghastly motor accident. According to reports, the armed robbers after snatching the car at gun point in Ogun state were on top speed when the car got involved in a ghastly accident. A good Samaritan raised alarm after finding the owner of the car inside the car boot. 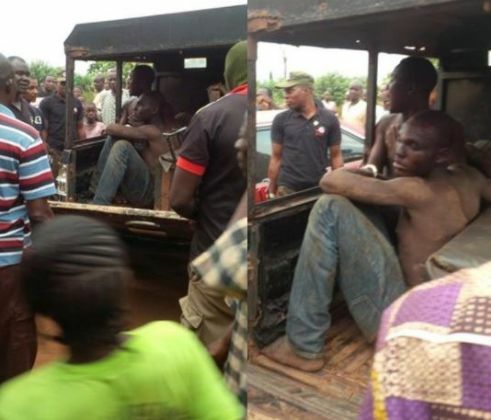 He was rescued while the armed robbers were arrested and taken away by the police.